Amid heightened security alert levels on Saturday, police in Geneva, Switzerland arrested two alleged terror suspects on suspicion of creating, concealing, and transporting toxic gases and explosives, CNN reported. According to the news outlet, a diplomatic source confirmed that Geneva police had discovered traces of the explosives in a car. The arrests came on the heels of news that regional authorities had been attempting to track down two individuals wanted in connection with the Nov. 13 Paris attacks, which killed 130 people. It was not immediately clear whether the two men arrested Saturday were linked to that search. The two men were "of Syrian provenance," according to the Swiss Attorney General's office, which released an official statement regarding the arrests on Saturday afternoon. Officials did not specify whether that meant the men were Syrian nationals or were of Syrian descent, but confirmed that authorities had opened criminal proceedings against them. "The top priority and common goal is the prevention of terror activities," the Attorney General's office stated, specifying that the men had been arrested in the "greater Geneva" area and adding that regular activities in the area would continue as scheduled. Sources told CNN that the two men were arrested after authorities received a tip this week from U.S. intelligence officials, who said they had "intercepted" communications regarding a terror plot in Geneva, Toronto, and Chicago. "We have gone from a vague threat to a precise threat," Geneva Department of Security head Emmanuelle Lo Verso added, in a comment to the outlet. While no specific threat has been discovered yet, authorities in all three cities are keeping an ear to the ground. 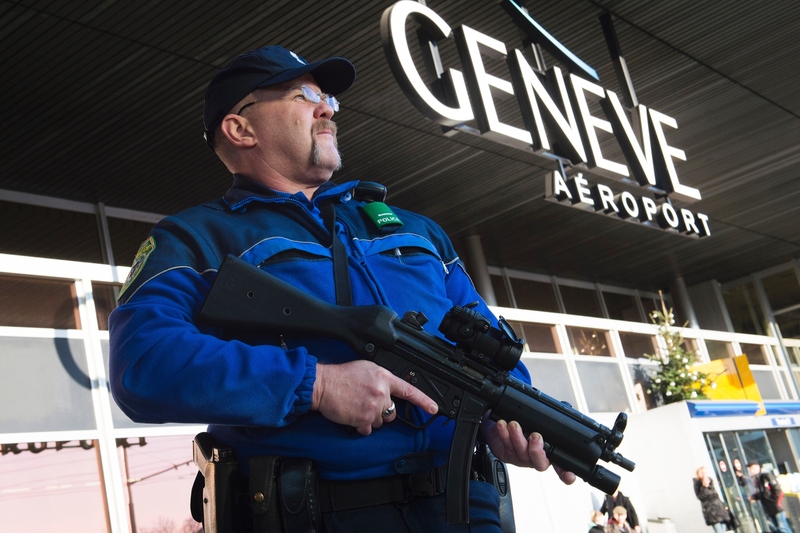 "The intelligence about Geneva was stronger, more specific than it was about the other cities," CNN national security analyst Juliette Kayyem told the outlet on Saturday. "...You're simply not hearing about that kind of reaction from either Toronto or Chicago at this stage." Swiss newspaper Le Temps told the BBC this weekend that while police had circulated images of four separate individuals, they did not have any additional concrete evidence until Saturday's arrests. "We [did] not know their names, we [did] not know where they came from," Le Temps quoted a law enforcement source as saying. "They apparently are using noms de guerre." International leaders have voiced concerns over the past few weeks that similar attacks to the one in Paris might be carried out in other large metropolitan areas over the coming months by individual terror cells pledging allegiance to the Islamic State. In a Defense meeting on Friday, Russian President Vladimir Putin went on the offensive, telling officials that jihadists in Syria posed a legitimate threat to his country and stating that "any targets threatening [Russian service members] or land infrastructure [in the Middle Eastern nation] must be immediately destroyed." In Geneva, authorities on Saturday stopped just short of linking the arrests to any specific group or terrorist organization, but added that the general threat had been raised.